Via Nazionale Tel. 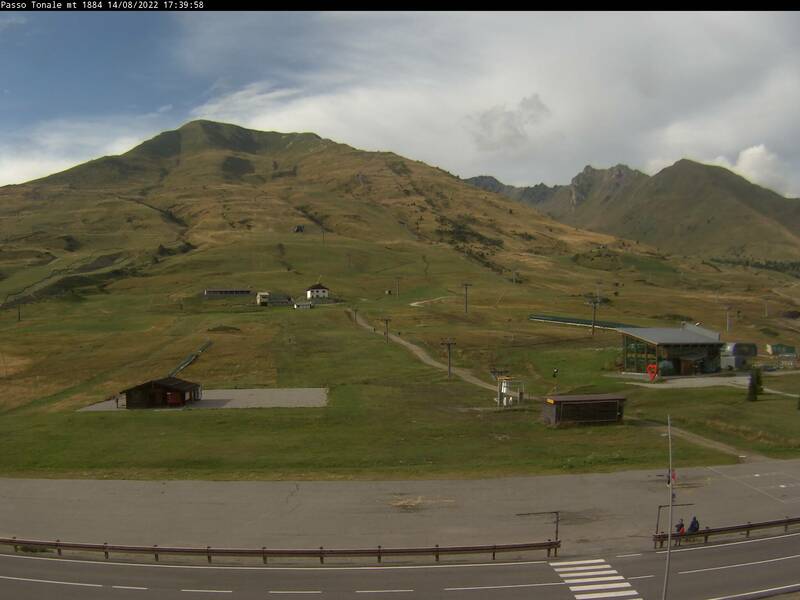 0364 903838 E-mail tonale@valdisole.net Elevation 1.880 s.l.m. Situtated on the border of Lombardy and Trentino Alto Adige, and surrounded by the Adamello-Presanella, Ortles-Cevedale and Brenta mountain groups, Passo Tonale is a natural amphitheatre, open and panoramic which rises from 1884m to 3100m in altitude. A top quality winter resort, which with the Presena glacier will give you a guarantee of snow for a long and enjoyable season. 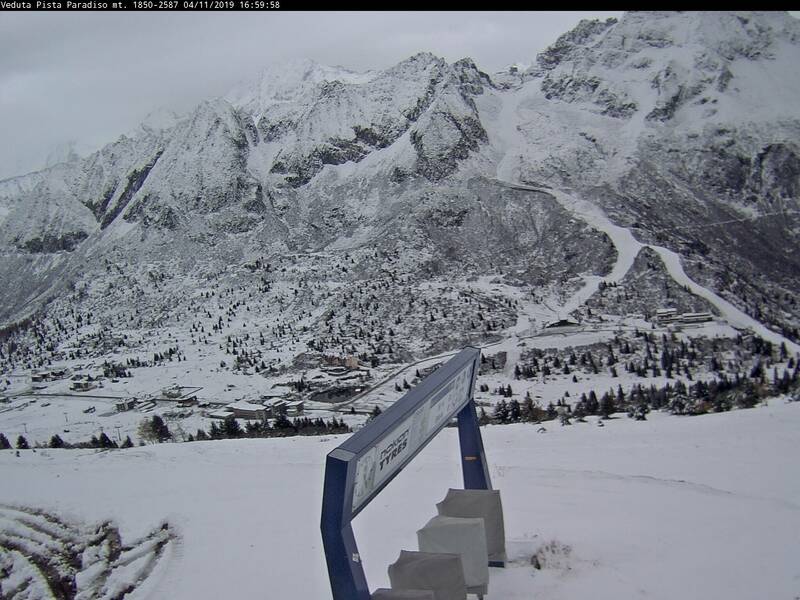 Tonale, totally exposed to the sun is an ideal location for learning to ski, with purpose made slopes for beginners. From the legendary ‘BLACK’ run in Paradiso, 3 kilometres long and a level difference of 710m, to the long and panoramic piste ‘Alpino’ with 4500m of slopes and a level difference of 725 m.
Absolutely not to be missed is the Presena-Tonale-Pontedilegno: 11 kilometres of slopes with a level difference of 1740m, all run in one breath!!! 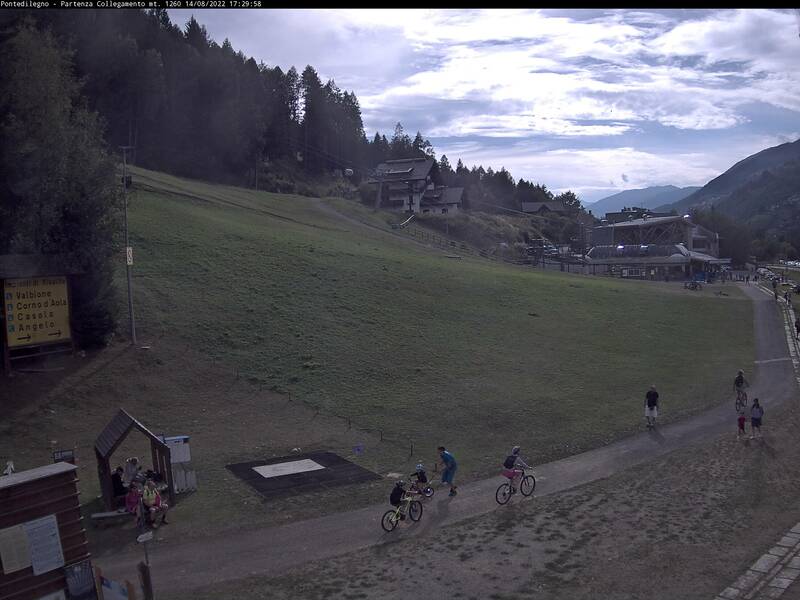 During the summer Tonale is an ideal place from where you can begin long walks, or mountain bike excursions around the Adamello Bike Arena. The Paradiso and Presena cable cars which go up to the glacier, are also open during the summer months and are available to mountain climbers and anyone else who wishes to enjoy a day in the mountains.